As far as I know, Motsepe is the only person who puts down a significant cash deposit on day one Some empowerment deals don't seem to have had a permanent impact on the market. It is more than a decade since Standard Bank wheeled out Saki Macozoma and Cyril Ramaphosa as its strategic partners. The consortium made R10. '7bn over a decade, but little of this seems to have been put to long-term use at the bank. Brimstone and Wiphold also took their money and ran when the Old Mutual deal ran its course. Perhaps Patrice Motsepe is just a more accomplished public relations per former who understands the optics, in today's jargon. But, perhaps naively, I think the Sanlam empowerment deal he leads has been the most successful by far. Motsepe is well connected in the ANC, but he is a businessman first and foremost. He has a subtle, enigmatic style that contrasts with flamboyant tycoons such as Fred Robertson at Brimstone. As far as I know, Motsepe is the only person who puts down a significant cash deposit on day one of a BEE deal. And he walks the talk of broad-based empowerment. It was a shrewd move by Sanlam CEO Johan van Zyl to persuade Motsepe to be Sanlam's partner. Van Zyl believes his much admired predecessor, Mari nus Haling, sold the future by disposing of Metropolitan Life in 1993. It was the fastest growing part of the market, next to the more mature Sanlam book, then predominantly white and Afrikaans. But it is hard to overemphasise the symbolism of Sanlam, which itself started as an empowerment venture, handing over control to a black consortium even before the members had the right to vote. When Van Zyl bought African Life in 2005 he did not spin it off into a self-contained black controlled business but insisted that Motsepe's Ubuntu Botho Investments UBI consortium hold its shares in the top Sanlam holding company. In the 10 years to April 2014 Sanlam's market cap rose from R27bn to R118bn, but UBI has not taken its bets off the table. In the second phase of the deal Motsepe will get access to some of the underlying Sanlam businesses. The current Sanlam CEO, Ian Kirk, an Irishman, is an equally strong supporter of enhanced empowerment 123RF Tetyana Mizina. 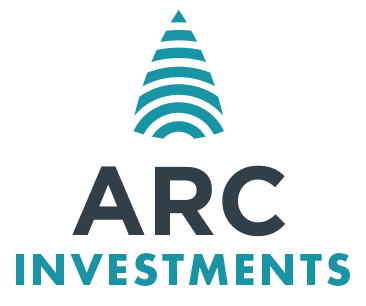 It is proposed that UBI's main listed investment vehicle, African Rainbow Capital ARC, will take a 25% holding in Sanlam Investment Management SIM. This should make SIM more palatable to BEE conscious investors such as the Public Investment Corp and the Eskom Pension Fund. And ARC might still take control of the much smaller Absa Asset Management and merge it with SIM. Other Sanlam units, such as Employee Benefits and Simeka Consulting, clash with one of ARC's major investments, Alexander Forbes. But don't rule out a megamerger between Forbes and Sanlam – a few years ago Liberty and Forbes were close to merging, and since then both sides have been regretting that they did not do it. I see ARC is considering expanding into life insurance on two fronts: by taking a stake in the Sanlam Sky worksite marketing business, and through a new African Rainbow Life, likely to adopt a more direct to consumer offering. Sanlam will cement its relationship with ARC Financial Services by taking a 25% direct stake. And it is providing R2bn in finance to UBI. The social dimension of UBI is impressive. There have been 1 million beneficiaries. And of the additional 5% of Sanlam funds for BEE investors, 80% will be for new beneficiaries, predominantly women and youth groups, and a slug will go to Sanlam staff.